Watching a squirrel scurrying around outside is pretty entertaining. Finding a family of squirrels squatting inside your home is not. These little fur-balls belong outside, but sometimes they get a little too curious. Find out how to keep squirrels out of your attic. Those bright-eyed and bushy tailed creatures look cute and harmless, but they are actually very aggressive and destructive little brutes. Once a squirrel has found shelter in a place like your attic it is like pulling teeth to get it back out. Squirrels are extremely intelligent and have been known to deceive onlookers by burying fake mounds that resemble stacks of food, in an effort to distract other animals while they hide their real bounty. They communicate with one another by sounds only they understand, scent markings, and by twitching their tails to alert others of harm. Squirrels, like other rodents, chew in order to keep their rapidly growing teeth worn down. They will chew through pretty much anything and don’t have your feelings or pocketbook in mind when doing so. They’re always looking for a nice, warm place to live and have babies, so your attic is the perfect hideaway any time of the year. 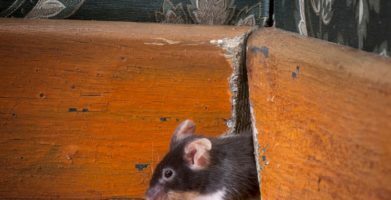 Attics are simply easier to find than hollowed out trees — and if yours is easy to get into than your neighbors, that’s really all they care about. They look for a place where they can give birth and raise a family, with easy access to food and water. Your attic provides them with safety from predators and a temperature controlled home, what’s not to love? Squirrels are determined animals and excellent chewers. If they can find a hole that’s even just an inch and a half around, they’ll chew their way through it until it is big enough for them to make their way in. They’re most active during the day and can be quite destructive. If you’ve got squirrels in your attic, you’ll hear the scurrying and scratching of their feet. You may even hear them chewing. 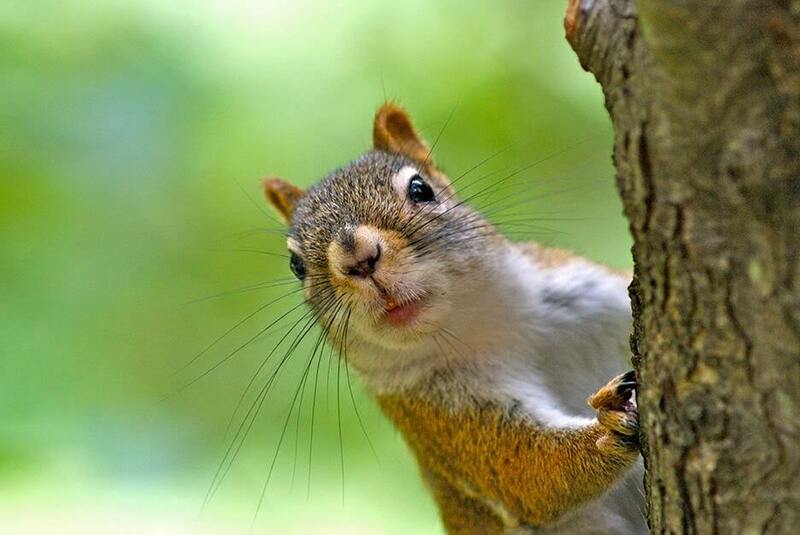 Squirrels like to chew on wire, sometimes causing power outages and fires. They also like plastic piping and can cause a leak in your home or even flooding. They will rip apart insulation, roof timbers, and pretty much anything that their sharp teeth can puncture. Squirrels are also hazardous to humans and pets. 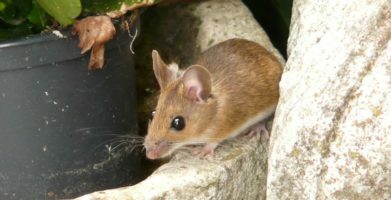 It is suggested that they can transfer rabies, although there are no confirmed cases. 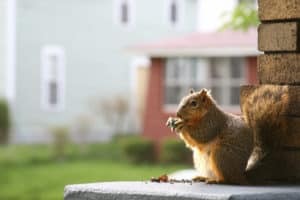 Since squirrels spray while urinating and defecating, their feces and urine can become a salmonella danger, if you or your pet come in contact with contaminated food or water. Squirrels also carry fleas and a surplus of ticks that pose the threat of tick fever and Lyme disease. 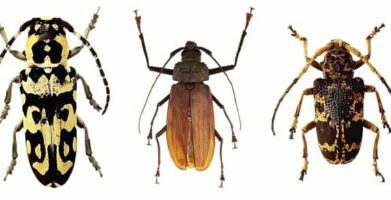 Once fleas and ticks have entered the household it is extremely difficult to rid them from your furniture, carpet, and pets. The first step to ridding your home of squirrels is to have an exterminator come and take a look. Squirrels are aggressive and don’t want to leave a place that they’ve made their own, especially if they have babies with them. It is definitely not a job that you should take on yourself. Once the exterminator has evacuated all of the squirrels, the area will need to be cleaned and sanitized. Keep in mind that their feces and urine pose a health risk, and should also be handled by a professional. Once they have been taken out and the area is clean and sanitized, the next step is to keep them out. Inspect your home from the outside. Look for any holes, damage, or openings that lead into your attic. They may have gotten in through a chimney, a vent, or chewed through a much smaller hole. You’ll want to use wire mesh to patch up any gaps you find, so squirrels won’t be tempted to return. Check soffits, siding and eaves. Be sure there are no branches hanging directly over your home. Squirrels are great climbers and they’re looking for a direct route. Once squirrels have made your home their own, they’re not going to be happy about being evicted. 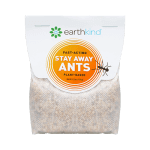 Even with the help of an exterminator, they’re bound to try to find their way back. 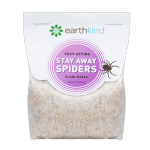 After you’ve secured your home, there are some natural solutions you can try, to dissuade them from moving back in. Squirrels dislike the smell of hot spices like cayenne pepper, jalapeno, and chili powder. Peppermint and garlic are also scents that they’ve been known to avoid. Try sprinkling any of these household items in areas that you know squirrels are drawn to and they should be looking for a new home to hang out in. 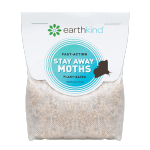 Using all natural and earth-friendly options to rid your homes of pests is EarthKind’s number one mission. Stay tuned for the latest on family friendly pest control methods. 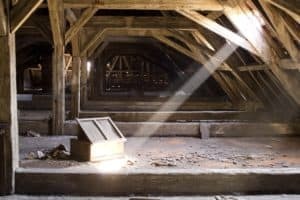 Attics are simply easier to find than hollowed out trees -- and if yours is easy to get into than your neighbors, that’s really all they care about. They look for a place where they can give birth and raise a family, with easy access to food and water. Your attic provides them with safety from predators and a temperature controlled home, what’s not to love? The first step to ridding your home of squirrels is to have an exterminator come and take a look. Squirrels are aggressive and don't want to leave a place that they've made their own, especially if they have babies with them. It is definitely not a job that you should take on yourself. string(70) "What’s in My Attic: Why Squirrels Prefer Your House to a Hollow Tree"